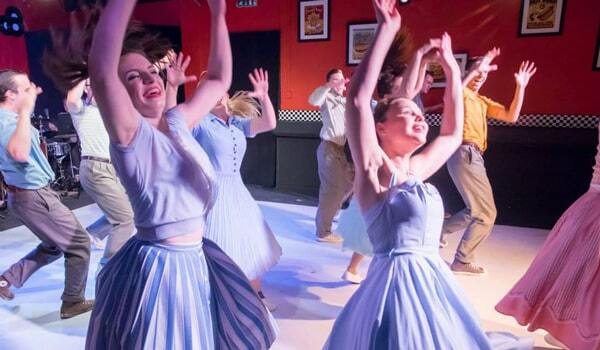 What Musical should you see first in London? We have compiled this list to save you the trouble of working it out! It’s just our view – and everyone has one – based on our Reviewers’ thoughts. We will update the list regularly so new productions get on your radar and when original casts change that is factored in. 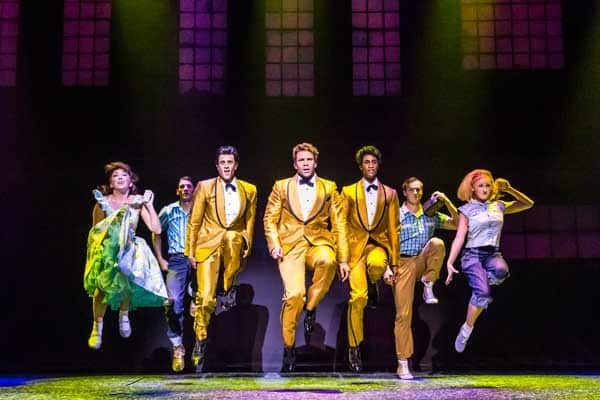 Musicals which have been running for more than three years are not included – this is a list for new or relatively new productions running in London. 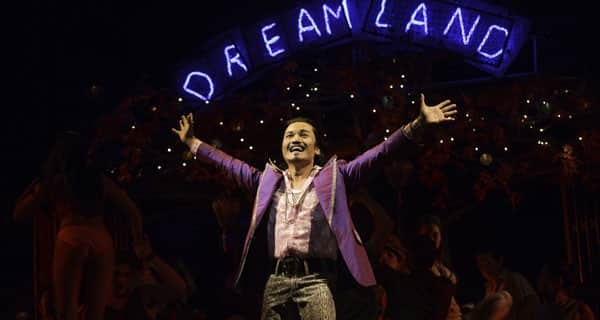 Everyone in this company is superb in their part, everyone can really sing, really dance and really deliver the goods in terms of dramatic and comic acting. This is that rare beast: an exquisitely cast musical where the requirements of the parts have more importance in the casting process than potential box office draw or Twitter popularity. It is difficult to believe that there has ever been a better Rose than Staunton creates here. The only show to ever recieve a 6 star review from BritishTheatre.com. 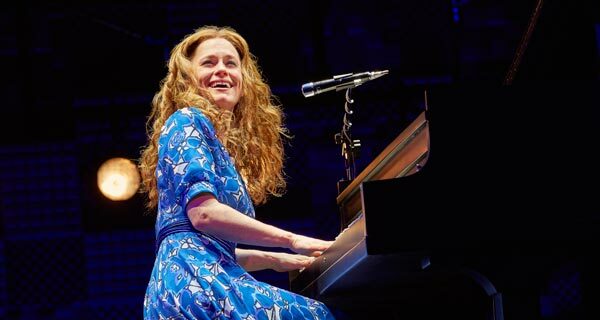 The throbbing, majestic and luminous heart of this production comes from Katie Brayben’s faultless, radiant and absolutely triumphant turn as Carole King. Brayben recreates the feel, the sound, the look of Carole King in a completely authentic and resonant way – she feels like the natural woman. Sam Mendes’ production of the musical adaptation of Charlie and the Chocolate Factory is in excellent shape. Nothing indicates that more clearly than the show not missing a beat despite the fact that three understudies were called upon to perform. The company didn’t hiccup. 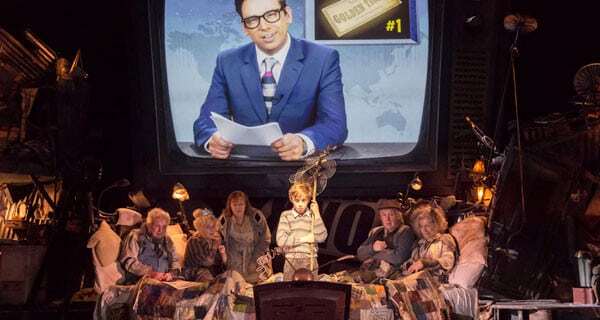 Routines are polished and well-drilled; Mark Thompson’s wonderfully colourful, and sometimes colourless, costumes and sets are in pristine shape and conjure up the requisite sense of magic effortlessly. The tunefulness and sprightly fun of Marc Shaiman’s music remains infectious and sweet. 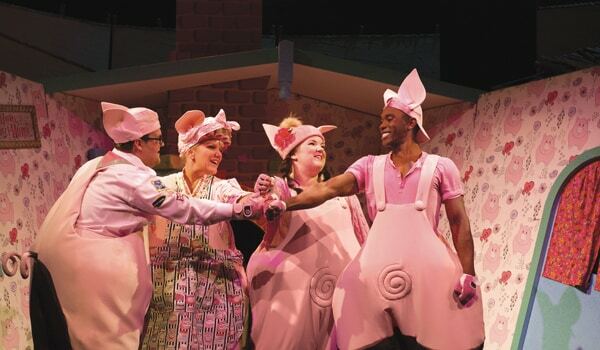 Daniel Buckley, Alison Jiear, Leanne Jones, Taofique Folarin in The Three Little Pigs. Writing anything to entertain children isn’t an easy task. Writing something that can appeal to adults and children alike, trickier still. In writing The Three Little Pigs, George Stiles and Anthony Drewe, the team behind Honk!, Peter Pan and all of the glorious new material for Mary Poppins have delivered in droves. The children sitting around me were having a ball. Engaged, entertained and thoroughly enjoying themselves and that’s brilliant. In the wrong hands this show could be become exactly what it is trying to send up; a clap-along, preppy, saccharine affair. However the blistering choreography, catchy score and some fantastic performances mean this restaging works on every level. Act Two is practically perfect. It starts with a fabulous number for the girls, Glorious, and it never looks back. 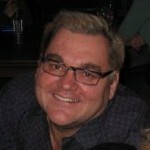 It’s full of great music from Goodall and the range of styles he covers is significant. He uses Punjabi tunes effectively, there is a terrific solo for Jules’s mother, There She Goes, a melodious duet which is gentle and joyful, Bend It, then a stirring quintet and an overwhelmingly joyous piece which celebrates the wedding of Pinky and Teetu in contrapuntal tandem with the celebration of the football grand final win. By the time the second Act is over, the longeurs of the first have been brushed aside, and the infectious sense of harmony and happiness is irrepressible. 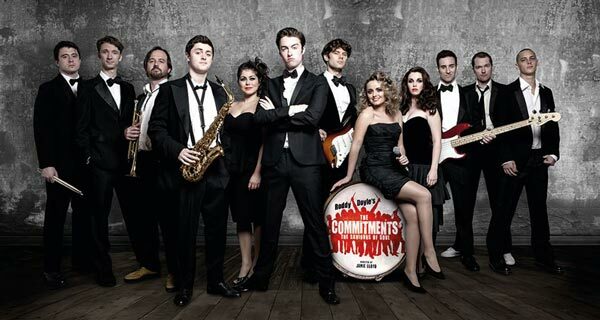 Of course, this production has one thing which most West End productions don’t: a large ensemble. Apart from principals, there must be close to twenty-five men and women onstage and triple-threating. 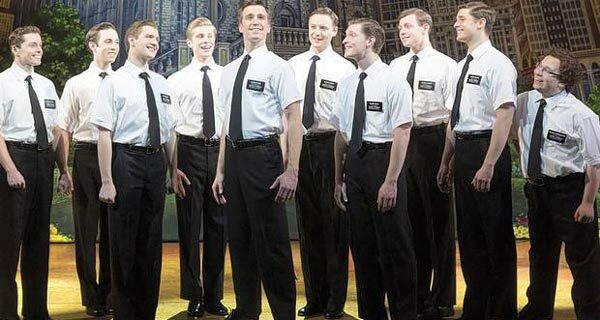 It is difficult to remember when twenty men last stood on a West End stage and sang powerfully and in glorious harmony as they do in the beautiful Bui Doi which opens Act Two. More than anything else, Memphis is about change and acceptance, and the important way culture and art (music, in this case) can be transformative in important and tangible ways. But it is not worthy or earnest in any way; rather, it relies upon humour, heart and hockadoo, creating mini-tornadoes of singing and dancing joy to propel your spirit into the stratosphere. For my part, it is as plain as a pike staff that the performers at hard work in this Parker, Lopez and Stone piece are, uniformly, at the top of their game and give more than 100% constantly. This production is far, far better than that original Broadway production. Lloyd is an astonishing director with a range and taste palette which is remarkable – it is a rare day when he cannot illuminate, freshen or invigorate a work – and so it seems here. The pace never lags, the scenes are colourful and stuffed with detail and interest and you are in no doubt that the music is the focal point of the evening. Let us know your thoughts on our Top 10 choices.